Chimney Cricket, Inc. was founded in 1990 and has been growing strong ever since. We have expanded not only our geographical reach, but also our range of products and services as well. What began as just a few chimney sweeps working out of one location has now become a multi-state operation with a wide variety of masonry work, fireplace and chimney services. Chimney Cricket's home office is located in Plymouth, MI. There are branches located in Waterford, St. Clair Shores, Ann Arbor, and Grand Rapids, MI. 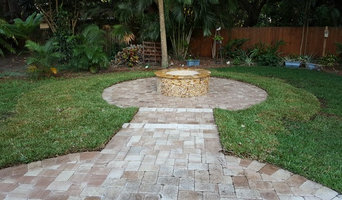 We cover the entire Cleveland-Metro and Toledo, OH areas and also have offices in Tampa Bay, Sarasota, and Port Charlotte, FL.Our commitment to providing quality masonry work, fireplace and chimney services as well as our dedication to serving people’s needs have earned us over 250,000 loyal customers. We constantly strive to improve our business and grow our customer base. Thanks to a diverse team of talented management and experienced masons and sweeping pros, we are able to work toward being the best and largest in the chimney sweeping industry. We will never lose sight of the individual customer, as they are the ones who have built our company from the beginning. Our skilled, dedicated staff will provide you top quality service - always. For over 65 years, Detweiler's Propane Gas Service, LC has been providing our clients with impeccable propane gas services. We are your one stop gas source, for all your heating needs! *Authorized White Mountain Hearth Fireplace Dealer* For over 65 years, Detweiler's Propane Gas Service, LC has been providing you with impeccable propane gas service. Propane gas delivers a clean, cost-effective, efficient, and reliable energy solution for your home, so give us a call to see how to lower your energy costs and help the environment. We are your one stop gas source. We can install your propane tank, propane or natural gas lines, propane or natural gas appliances and deliver you propane. Are you tired of taking cold showers or waiting for ages to get your water to heat up? Check out our tankless water heaters to enjoy hot water when you want it for as long as you want it. 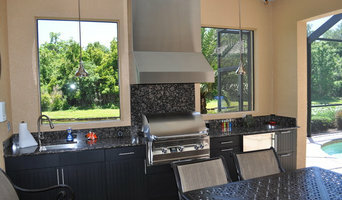 Welcome to the Florida Fireplace Systems! There is a vast selection of fireplaces available today. 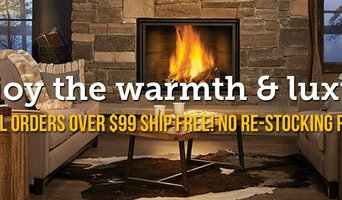 We will use our 20+ years of experience to make sure that you find the right fireplace for your unique and individual needs. We sell major brands: Isokern, Firegear, Valor, Fireplace Xtrordinair, Fmi, Dimplex, Grand Mantel, Design Specialties, Modern Flames. We are the exclusive Tampa Bay dealers for Town & Country Luxury fireplaces and Montigo contemporary Linear Burn fireplaces. Please visit our Showroom with LIVE BURNING DISPLAYS designed to demonstrate popular systems including Gas Direct-Vent, Wood, Vent-Free Gas, and Electric, all in a comfortable no-pressure setting. Once upon a time, fireplaces were central to the home — meals were even cooked in them. Fireplaces go beyond physical comforts too, offering psychological and emotional warmth even in modern households. However, installing a new fireplace can go wrong, quickly. There is a lot to keep in mind, and there are plenty of safety measures that you need to get right. Reaching out to a Laurel, FL fireplace professional can help you find the right unit for your home and make sure it’s installed correctly. Since wood smoke contributes to air pollution, many cities have banned the use of wood-burning units. If you’d like to buy a wood burning unit, check the Laurel, FL city policies first. If your home already has a wood-burning unit that you’re concerned about, contact a fireplace manufacturer to replace your wood-burning unit with an environmentally friendly electric or gas alternative. Gas inserts can be efficient heaters and may lower your electric-heat bill. Many adjust to provide high heat on a cold night or a low-burning flame for ambience. Interior fireplaces and mantel designs are as varied as home interiors. From custom fireplace mantels made to conceal a flat-screen TV to custom hearth designs with elaborate Renaissance-style stone mantels, the latest designs can be found by visiting Laurel, FL fireplace showrooms. Find fireplace manufacturers and showrooms, plus fireplace installation professionals, on Houzz. 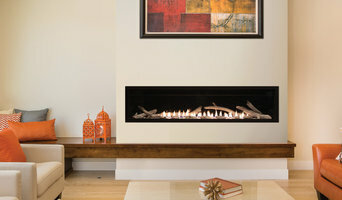 Go to the Professionals section to find Laurel, FL fireplace design and installation experts.